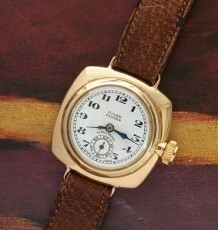 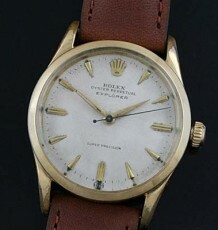 Vintage 1930’s Rolex watch with solid gold octagonal case. 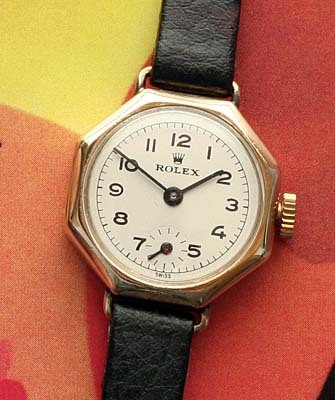 A very unusual vintage Rolex ladies watch with a Swiss Made solid gold octagonal shaped caseThe solid 9 karat gold case is in excellent condition and is fully hallmarked with the proper Rolex marking and signed Rolex 25 World Records.The watch is fitted with a 15 jewel Swiss Rolex movement that was recently serviced by my Rolex trained watchmaker and keeping time.The case measures 21 mm wide by 21 mm long. 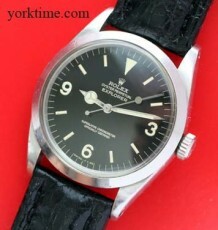 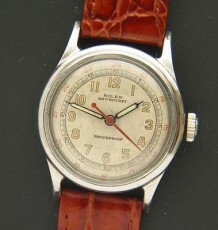 The watch will be supplied on the black leather fold over strap that is pictured.